Unfortunately, you will not receive any tax deductions from the purchase, redemption or interest income of U.S. savings bonds. However, savings bonds are not without their charms. The Treasury reinvests the interest you earn back into your bonds, and as that interest is compounding, you won't have to pay a dime of income tax on it. Furthermore, when you redeem your savings bonds, the interest is free from state and local taxes. But here is the real kicker: If you spend the bond proceeds on a qualified education expense, you will not have to pay any income tax on the interest whatsoever. 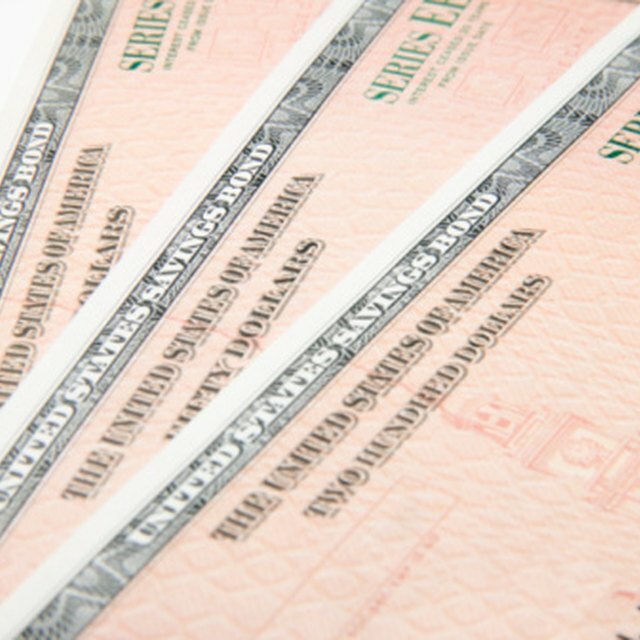 Series EE savings bonds pay a fixed rate of interest, while Series I bonds make payments that are adjusted for inflation. You can obtain Series I bonds in paper or electronic form, but can hold EE bonds only electronically. Otherwise, both bond series are the same. You have the right to delay paying taxes on savings bond income until you redeem or transfer the bonds, but you also have the option of paying taxes every year on the annual accrued interest -- for those who can't wait to pay their income taxes. You have to love a government policy that removes a tax burden from your shoulders. Through the government’s education tax exclusion, you can escape your tax liability when you redeem your savings bonds by using the bond proceeds to pay for higher education expenses. You must incur the education expenses in the same year that you redeem the bonds. The bond owner(s) must have been at least 24 years old when they bought the bonds. You can name your child as a beneficiary of the bonds but not as an owner or co-owner. It may be possible that you cannot make use of the education exclusion, yet you still have a hankering to reduce your taxes. Unfortunately, you cannot simply transfer savings bonds to someone else, even a charity, without triggering income taxes. However, if you redeem the bonds and give the proceeds to a charity, your charitable tax deduction will counterbalance your tax liability. Alternatively, you can make a deferred charitable gift of the bond’s redemption amount to a tax-exempt charity in exchange for an annuity, or lifetime of payments. Your tax deduction for the gift will offset your tax bill for the interest on the redeemed bonds. You can donate your bonds to a charitable remainder trust during your lifetime and avoid paying any taxes on the bonds. A CRT is tax-exempt, so it can redeem the bonds without paying taxes as long as your will explicitly makes the gift. You name the beneficiaries of the trust and they receive income for life, which will please them to no end. After their deaths, the charity retains the remainder of the gift. Death or taxes? Well, how about both. Savings bonds work well as a bequest to a charitable organization after you die. The accumulated interest on the bonds escape taxation, and your estate earns a deduction it can use to partially offset estate taxes and income taxes. You will need to carefully prepare your will in order to extract the maximum tax savings from your bequest. With this and all other gift and estate planning, you should consult with your lawyer and/or financial planner before making any decisions.